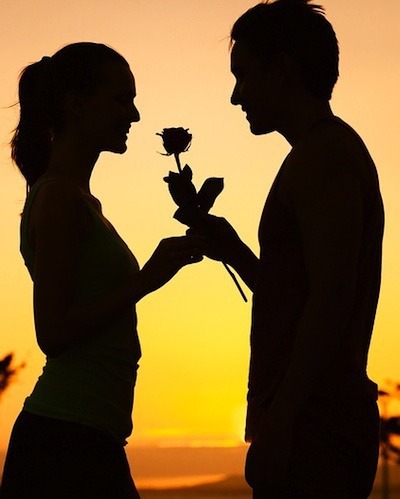 #Zodiac: How He Says "I Love You" Even If He Isn't Saying It! Whether your partner has voiced his adoration for you with those three little words or not; chances are he is saying it in ways that you may have not realized yet! Communication is a strong character trait in some signs, but others may veer away from vocalizing their feelings towards their partner - even if they really want to tell them how they are feeling! Read on to discover how your guy has been showering his love on you - maybe it’ll inspire you to carry out a romantic gesture yourself! This man is quite bold when it comes to his romantic endeavours; so he will make his feelings known by outdoing himself in both the mundane and with grand gestures! If he is into you, he’s the type to turn up spontaneously with a large bunch of flowers and sweep you off your feet, stick by your side when you’re out with a group, and he will do his best to make sure your attention is focused solely on him! This practical man shows his love through loyalty; not because it comes easily to him, but because he is a true and kind mate. If he is into you he is likely to want to spend lots of time with you - be it listening to you, having cosy nights in watching a good comedy show or film and just being there for you in general. Taureans tend to have a sacrificial love kind of love, and you will find him putting your needs above his, in moderation of course. It can be tough to figure out how this man shows his love - there is much duality to his sign, as this is the sign of twins. On the one hand, he may be flirtatious and extremely inquisitive; and on the other, he may be aloof and seemingly distant. But so long as he comes back for more after he’s satiated his curious mind and done finding out all that he can about you, you will know his heart is in the right place! This emotional sign has a hard exterior. If he has let you in, however, you can be sure that he has your whole lives planned out from the moment he falls in love with you. You can expect him to scope out marriage prospects quite early on in the relationship. Similarly he will enjoy spending time with your friends and loved ones, as this too evokes his domesticated side! A Leo man stands tall when in love; perhaps this is best articulated by his generous nature. He enjoys spoiling the person who has his heart, and his lady can expect to be pampered with exquisite gifts and lavish dinners! He is a proud man, and even more proud when he has someone he loves by his side! A Virgo male is a picky partner - he won’t settle down easily. So already, by entering into a commitment with you, he’s basically declared his feelings! Whilst he won’t openly flaunt his love, the fact that he doesn’t flee at the first sign of trouble and his devotion to striving towards the perfect relationship speak volumes for how he feels about you! Libran men were made to love, and in the most special of ways. His love tends to not be so much about the physicalities of the relationship; rather, he enjoys wooing his partner and places great emphasis on romance! You can expect this man to treat you with fairness and loyalty, even though he may act insecure at times - this is just his way of showing you he is into you and wants the relationship to flourish! Scorpio men have their own way of showing adoration for their partner. If he’s into you, you’ll find him watching you intently, and you may notice that he makes up reasons to be around you. The Scorpion simply feels things deeply, and that’s especially true in the realm of attraction. When he is around you, you can expect to feel the intensity of his feelings by his mere presence, whether it’s by the way he looks at you or how he likes to stand close to you. He is aware of his effect on you, and wants you to enjoy it! This man will go out of his way to show his love for you - so long as the way is indirect, of course! If you find him entertaining you or large groups when you are around, this is his way of showing you that you are worth his gregarious charm and sense of humour! He will use everything in his arsenal to make you feel appreciated and loved, and you will see this most when he is vulnerable and truly himself around you! Capricorn men take their time to convey their emotions to their partners - this is because they feel “being in love” can be a frivolous thing. If he is into you, though, you can expect it to come across in the form of a deep, abiding bond - not just “being in love” but truly loving. Whether he chooses to ask questions about your family, childhood or even basic things that seem like small talk, he is actually courting you with dedicated intention. His earthy, sensual side will reveal itself when he is sure that you are the one! An Aquarius man might show his love in typically non-romantic ways! He will enjoy spending time with you in a group of friends, or at an art show - somewhere that he can be with you and his mind can simultaneously be stimulated. In his mind, he knows he’s interested, so he feels there is no need to let you in on this and go overboard emotionally! Once he starts talking about you to his friends, however, is when you know you have completely won his heart!